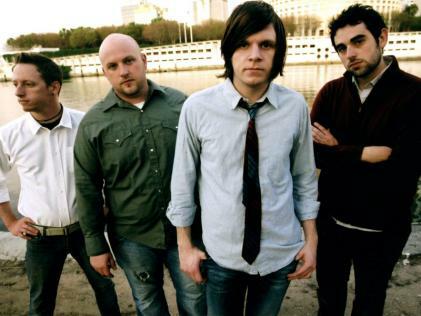 Vocalist Aaron Marsh, bassist James Likeness, guitarist Bryan Laurenson, and drummer Jon Bucklew (formerly of the Christian rock act Denison Marrs) are the members of Copeland, an earnest-sounding alternative rock band that took root in Marsh's home state of Florida in 2000. Maryland native Laurenson and original drummer Rusty Fuller were added to the lineup just in time for the recording of Copeland's first release. This split EP with glam pop band Pacifico, not only earned Copeland some music industry attention, but also their first national audience in the form of a half dozen small East Coast US tours. For that first year, the band excitedly played in any venue that would have them, for whoever wanted to listen. This deep appreciation for their supporters has stuck with them as they’ve begun to see bigger tours. In the summer of 2002, Copeland signed a record deal with So-Cal independent label The Militia Group and started making plans to focus on the band full time. They relocated to Atlanta in the fall where they would start a two month recording session for their debut full length album. The fruit of those two months was their acclaimed composition entitled Beneath Medicine Tree (2003). Tragically beautiful, and emotionally charged with themes of love, loss, and hope, the album delighted Copeland’s small existing following and earned the band a quickly growing audience. In December of 2003, during a short break from the road, Copeland took a week to record a covers EP to be released before they begin work on their follow-up to “Beneath Medicine Tree.” Aaron said about the EP, “We wanted to give our supporters something to listen to while we worked on another record. We knew it might take us a while and we didn’t want everyone to forget about us. These were all songs that we grew up listening to that we thought we could bring something new to.” The EP, entitled Know Nothing Stays the Same (2004), features Copeland’s renditions of songs by Stevie Wonder, Carly Simon, Phil Collins, Berlin, and Billy Joel. In March 2005, the band released its long-awaited sophomore album, In Motion. The ten-song set debuted at number 115 on Billboard's Top 200 album chart within a week of its release, and Eat, Sleep, Repeat fared similarly after its Halloween release in 2006. A different kind of indie pop album, one that's over-the-top in its melodic directness, yet retains its DIY craftsmanship. It's the sound of a band stretching itself, from the first moments of tinkling vibraphone, manipulated drums, and sighing strings that open the album ("Where's My Head") through soaring cautionary pop balladry ("Careful Now") and gnarled guitar lines that threaten to strangle airy choruses ("I'm a Sucker for a Kind Word"). You Are My Sunshine (2008) is the band's follow up to their Columbia debut Eat, Sleep Repeat. With Aaron Sprinkle and Marsh sharing production duties, and mixing legend Michael Brauer (Coldplay, Grandaddy, My Morning Jacket) at the helm of these 11 songs, Copeland's emotional candor shifts into a fresh, textured-driven focus for their most confident material to date. 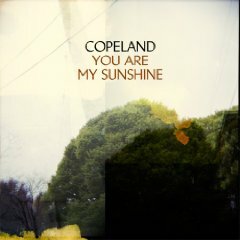 Copeland credits both Sprinkle's keen manipulation of sound and Brauer's quick approach for giving You Are My sunshine that polished, but organic sheen they were looking for.